For more than 50 years space travel has been a heroic enterprise, with a high risk of a hero’s death. 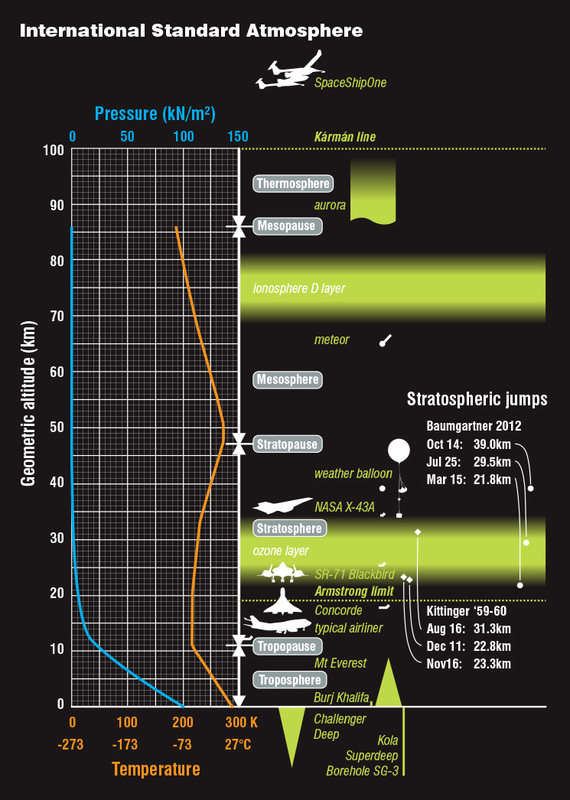 Of the approximately 536 people (as of December 2013) who have gone into space (defined as above the Kármán line of 100km altitude) 18 have died in the attempt. That equates to a casualty rate of 3.36 per cent. Include astronauts who died during training for space launches (but exclude those who died in training plane crashes), and the death rate rises to 4.1 per cent. Because some astronauts have been into space several times the true fatality rate is somewhat less, but it is many times that of commercial air transport. In 2010, 943 people died in crashes of aircraft with more than 14 seats, but there were more than 28 million flights (according to the Aviation Safety Network). In 2013, only 265 people died in large aircraft crashes. The next phase of space travel could be a reality before the end of this year. Commercial operators are developing systems to take passengers into space, if only for a few minutes. 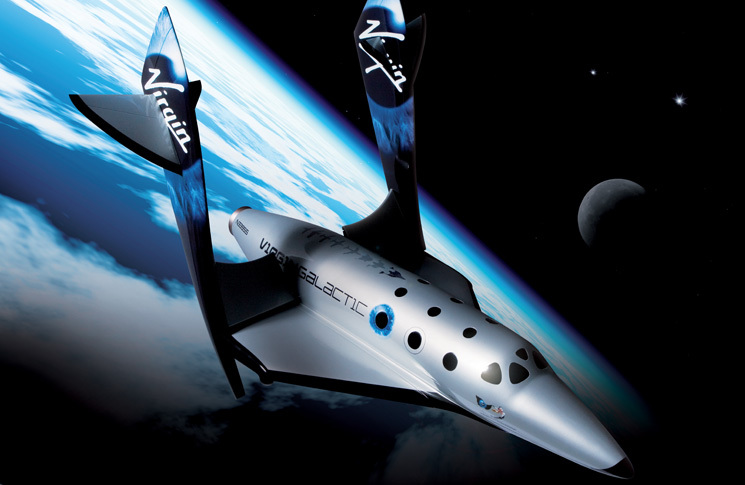 Operators include Virgin Galactic, which will charge $US250,000 for a 2.5-hour flight including up to six minutes of weightlessness, and Space Expedition Corporation (SXC), which proposes to charge $US100,000 for a one-hour flight in a two-seater space plane that takes off from a runway. Virgin Galactic plans to fly from Spaceport USA in New Mexico and SXC has said its aircraft will take off from the island of Curaçao, in the Caribbean. Arizona-based World View Enterprises plans to take travellers to what it calls the edge of space under a balloon. The company plans to begin flights to an altitude of 30km (approximately 100,000 feet) by 2016. 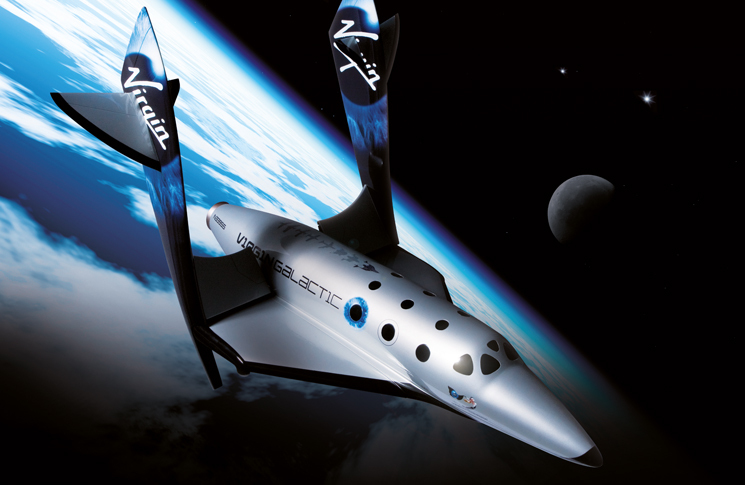 More than 700 people have already signed up to take a spaceflight with Virgin Galactic. World View passengers would not be able to call themselves astronauts. An altitude of 30 km is only 30 per cent of the Kármán line, But, above 99 per cent of the atmosphere, and at about the same atmospheric pressure and temperature as space, they would still be high enough to view the Earth’s curvature and for the sky to darken from blue to black. The US Federal Aviation Administration (FAA) has decided to regulate it as a commercial space venture, because the capsule is built to provide a ‘shirt-sleeve environment’ in space-like conditions. For their relatively trifling $US75,000 investment Worldview passengers will enjoy two hours at 30km, refreshments served by a cabin attendant and use of the world’s highest toilet. While these prices seem extreme it is worth comparing them with what aeroplane trips cost in real terms during the early years of commercial aviation. In 1938, a Sydney-Singapore return trip on a Qantas flying boat was slightly more than the average annual wage of the time, which in today’s terms would mean handing over about $73,000. The well-heeled people who were among the world’s first air travellers accepted far greater risks than the miniscule statistical hazards imposed on modern passengers. For US airlines in the 1920s the fatality rate was one death for every 3000 occupants (pilot or passengers). For the US airmail between 1918 and 1921, the fatality rate had been one per 400 flights. For flights across the Atlantic, which for their pioneering spirit are perhaps the best analogue of space exploration, the fatality rate between the years 1919 and 1932 was one for every 5.3 occupants. Will commercial passenger spaceflight follow the same hazardous trajectory? That will depend on what its operators do to mitigate the undeniable risks of flying people at twice the speed of sound to altitudes of more than 100km. Private space operators appear to have addressed three areas of potential safety improvements: technology, flight profile and aeronautical medicine. The traditional image of space exploration is of a giant rocket with a few brave astronauts on top of it. Space Shuttle pilot John Young summed up the hazards with an eloquent and much-reproduced quote: Anyone who sits on top of the largest hydrogen-oxygen-fueled system in the world; knowing they’re going to light the bottom—and doesn’t get a little worried—does not fully understand the situation. There’s no getting around it: the rockets of the space race era were giant bombs. A Saturn V, used for the US Moon and Skylab launches was 111 metres tall and weighed 2800 tonnes, of which 2500 tonnes was fuel, including 770 tonnes of kerosene-based propellant, plus liquid hydrogen and liquid oxygen. Thirteen of these monsters were safely launched, generating a peak sound level of 220 decibels. But the inherent dangers of liquid fuel rockets were terribly demonstrated in the Soviet Union in 1960 when a ballistic missile weighing a mere 140 tonnes exploded on the launch pad killing an estimated 100 people. Victims were completely vapourised, burned to death, or poisoned by the corrosive rocket fuel known as devil’s venom. Technology has evolved, and the proposed passenger rockets of the 21st century are much smaller and substantially different in design. Rockets used to be categorised as either liquid fuel or solid fuel, each type having its own advantages and drawbacks. Solid fuel rockets are simpler, and less likely to explode than liquid fuel types, but cannot be throttled or shut off once ignited. A hybrid rocket uses fuel in solid form and a liquid oxidiser. The flow of the oxidiser over the fuel is controlled by a valve which allows the rocket to be throttled or shut down. Scaled Composites, the builder of the spacecraft to be used by Virgin Galactic, has developed a hybrid rocket with a nitrous oxide oxidiser and a rubber compound, hydroxyl-terminated polybutadiene, as the fuel. It says both materials are stable and contain none of the toxins found in solid and liquid rocket fuels. Sadly, three Scaled Composites employees joined the ranks of ground-based space flight deaths in 2007, when a hybrid motor exploded during cold-flow testing. A US Air Force study, published the year after the explosion, concluded that the absolutely safe reputation of nitrous oxide was based on smaller volumes and pressures than had been used in the Scaled Composites explosion and other incidents. Some observers, such as Richard Branson’s unauthorised biographer, Tom Bower, are sceptical that the hybrid design can produce enough thrust for a parabolic trip to the Kármán line. They note the slow pace and short duration of Virgin Galactic test flights so far. They also note that Scaled Composites is developing a liquid fuelled rocket for its Launcher One unmanned satellite launch service. SXC and its spaceship developer XCOR are using a liquid fuel rocket. The engine of the Lynx spaceplane will use a piston pump, rather than a turbo pump, to deliver high-pressure propellant to the combustion chamber. According to XCOR this will have advantages in cost, turnaround and reliability. In March 2013 XCOR announced the piston pump rocket had fired for 67 seconds. 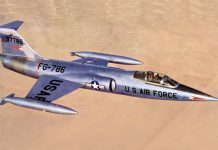 ‘We anticipate that the net result will be a dramatic reduction in per-flight costs and turnaround time, and that it will lead to a serious increase in affordable and routine spaceflight,’ XCOR said. Both Scaled Composites and XCOR are making extensive use of carbon fibre composite materials to build their spaceplanes. In particular, carbon fibre composites have a lower coefficient of thermal expansion than most metals. This removes a major source of material fatigue for craft built with them. Carbon fibre does not shield against radiation but as the proposed space flights would be below the level of Earth’s protective (but also radiation-filled) Van Allen belts this would not be a major problem. While the altitude of a spaceflight is higher than that of an airliner the duration of the flight would be shorter, making exposure to cosmic radiation comparable with or less than that of an airline passenger. 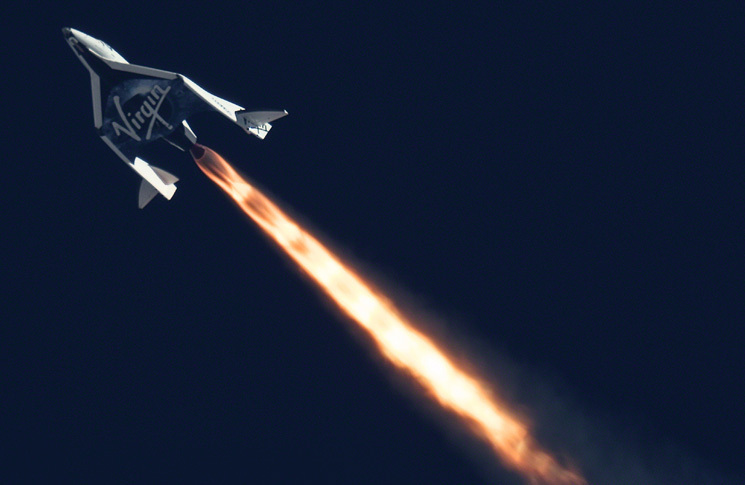 Virgin Galactic’s Spaceship Two has a novel, but stable method of re-entering the atmosphere. The wings pivot up to increase drag in a shape similar to a giant shuttlecock. In effect, the craft becomes its own parachute. The technique is reported to be so stable that the craft can re-enter the atmosphere without the pilot touching the controls. One significant difference between the commercial and pioneering eras of space flight is that atmospheric re-entry will be much easier for space tourists. Re-entry from a 100km sub-orbital flight is a very different proposition to re-entry from low Earth orbit, in which to stay aloft a space craft has to be moving at 8.8 km per second, or 25,000km/h (that’s 13,500 kt, by the way). Some heating from friction will occur but space tourists will not be subjected to the intense heat that required ablative materials on the Apollo spacecraft or tiles on the Space Shuttle. However, re-entry even from a suborbital flight involves extreme forces. Parts of NASA’s X-15 experimental rocket aeroplane reached temperatures of 340 degrees C on its re-entry from flight of up to 100km altitude and one aircraft was lost in 1967, killing its pilot, Mike Adams. The wreckage of Adams’s X-15 was spread over 130 square kilometres. Like the X-15, Virgin Galactic’s Spaceship Two is air-launched, being carried to 50,000 ft by a ‘mother-ship’ aircraft, where it is dropped at about 400 kt before the rocket engine is fired and the rapid climb to the edge of space begins. Virgin Galactic says this technique is safer because it requires a smaller rocket engine and therefore less fuel needs to be carried. It is notable that there were no serious accidents in several hundred NASA X-plane air-launches. XCOR’s Lynx is planned to take off from a runway like any other aeroplane. It will fly under its own power to above the Kármán line and glide back for a landing at the sedate speed of 90 kt. Astronauts of the space race era underwent a rigorous selection process, requiring very high standards of health and fitness. Since then the trend has been for astronaut health and fitness requirements to become less stringent. This allowed John Glenn, the first American astronaut to orbit the Earth in 1962, to go into space again as a 77-year-old in 1998. Some of Virgin Galactic’s first customers, aged from 22 to 88, took part in a centrifuge training activity that replicated the G-forces they had signed up to experience. The pass rate was 93 per cent, or 75 customers. Passengers will have three days of pre-flight preparation, which Virgin Galactic describes as ‘bonding and training onsite at the spaceport. Learning how to make the most of your time in microgravity, and tips on how to be the most comfortable in macrogravity’. Virgin Galactic passengers will not be issued with pressure suits. This is in line with NASA practices before the Challenger disaster of 1986. Without pressure suits they will be absolutely dependent on the pressure cabin remaining intact. They will however be protected against more mundane hazards: Several years ago it was reported that Virgin passengers would be issued with soft-soled shoes and soft helmets for safety during their zero-G tumbling about the cabin. SXC says the pilot and sole passenger on the Lynx spaceplane will wear full pressure suits. Lynx passengers will undergo medical screenings, seminars, and G-force training. The operational experience for manned suborbital space flight (altitude greater than 100 km) is very limited, consisting of two Mercury-Redstone rocket flights in 1961, two X-15 flights in 1963, an inadvertent Soyuz launch abort in 1975, and three SpaceShipOne flights in 2004. Suborbital flight was probably less strenuous than orbital spaceflight, which involves higher speeds and long periods of zero gravity. But the group raised concerns about the rapid transition between high G-forces at the beginning and end of the suborbital phase, and weightlessness at its peak. The total environment of acceleration-weightlessness-deceleration has never been simulated (except for the brief +1.8 g to 0 g to +1.8 g experienced in parabolic flights) and is quite different from the orbital space flight experience, AsMA reported. The pilot experience on suborbital flights will be very time intense and probably repetitive, with some pilots flying daily. The effects of repetitive exposures to the physiological stresses of suborbital flight have never been experienced. The group also noted that while the reclining seats of Spaceship Two would mean passengers experienced G-forces on their backs, the flight crew would experience the more strenuous ‘eyes-down’ G-forces along their spinal columns. Writing in Space Safety Magazine Tommaso Sgobba and Andrea Gini made the point that many of the known risks of commercial space flight are ‘not reflected in any current civil aviation type regulation’. They quote the example of untimely release of the spacecraft from the carrier aircraft, for which no regulation exists. Virgin Galactic says this would have no safety impact, merely a short and relatively disappointing glide home for the budding astronauts. Sgobba and Gini argue that space flight can only achieve acceptable safety through safety management systems and safety case principles. They say that safety during the space race was diminished by the mission mentality generated by competition between the ideologies of the US and the Soviet Union. In time of war, mission accomplishment takes precedence over considerations of personal and even collective safety, so mission accomplishment – not safety – had been the driving force behind the development of Cold War era space systems due to the strong original imprint of the military and political attitudes of space programs. They argue that this mission mentality persists in private spaceflight development, and describe it as a self-defeating attitude. Countering this it could be argued that the many and long delays to both Virgin and SXC programs are evidence that care is being taken to achieve goals safely, rather than at any cost. Ultimately, Sgobba and Gini argue that engineers rather than bureaucrats must be responsible for safety. While prescriptive requirements can be easily verified by technical bureaucrats, a safety case regime requires that both the design team and the safety certification team have a deep knowledge of how the system works in order to understand the relevant hazards and how to control them.